Are You a ZOO HUMAN? Many of us aspire to train “Naturally”. We have evolved from the traditional gym rat mentality, we’ve gotten outside to get our dose of exercise, we’ve adopted what believe to be functional style training but are we really getting the most of our efforts? 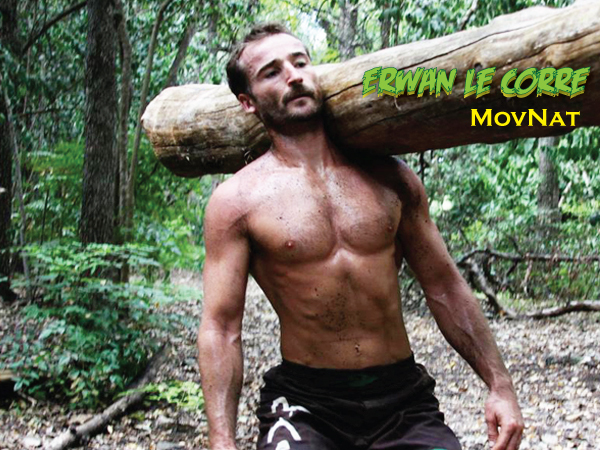 Enter Erwan LeCorre, founder of MovNat and the MovNat Method. Erwan has devoted his life to training himself and others in a way that revisits our primal instincts. I asked him to come on the show to share his insights, how his training methods differ from what is typical and how this training might server the Obstacle Racing community. If you are looking to take your physical abilities to the height of your innate capacities, you should make a point to listen to this episode. Erwan’s training methods are offered around the world, his retreats are designed to serve all ages and fitness levels. ← Are You Ready for The Spartan Agoge?